CXP to 3 CX4 InfiniBand cables feature a CXP 12X connector on one end, ando 3 CX4 SFF-8470 connectors with pull-latches on the other end. 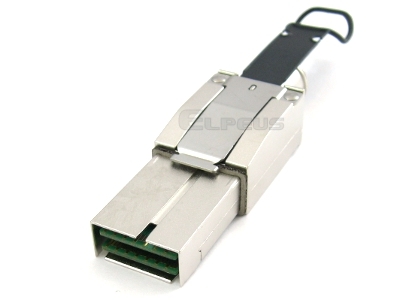 CXP Loopback Modules are used for testing ports in CXP HBAs and switches. The loopback provides a cost effective method for CXP port testing. It transmits data from the host electrically, to the receiving data outputs and back to the host.